BSF SI GD Syllabus and Exam Pattern 2018 | Detailed BSF SI Exam Syllabus with Written Exam and Physical Exam Paper Pattern 2018 – Download BSF SI GD Syllabus pdf and Paper Pattern Here! 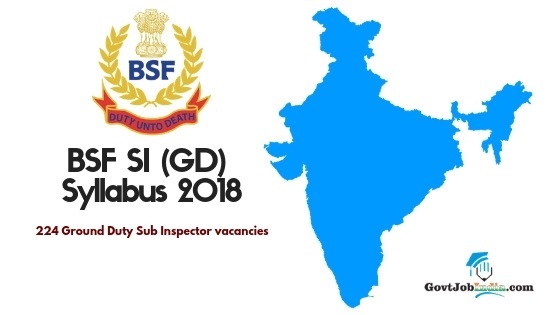 BSF SI GD Syllabus 2018: You can download the BSF SI GD Syllabus and Exam pattern pdf here. 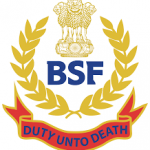 The BSF SI Syllabus and Exam Pattern are useful for all the candidates who are currently pursuing the BSF SI GD post. With the BSF Si Syllabus attached here, you can truly prepare yourself for the BSF SI GD Written and Physical Exam 2018. The BSF SI Exam dates have not yet been declared. We will display the latest information regarding the BSF SI Exam on this page as soon as it is released. Since this is an All India Recruitment, you can expect tough competition in the BSF SI Written Exam 2018. Therefore you can utilize the BSF SI Syllabus to assist you in your preparation process for this amazing opportunity by the BSF. Also, don’t forget to check out the BSF SI Exam Pattern for both the Written and Physical exam. Tabulated below is the BSF SI GD Written Exam Paper Pattern. Candidates are urged to check it in order to understand the subject wise marks weightage. Candidates must ensure that they score at least 45% in each subject individually and 50 % overall marks in the examination in order to pass the BSF SI GD Written Exam. All candidates appearing for the BSF SI GD PMT (Physical Measurements Exam) will have to satisfy the following Physical Standards requirements as prescribed by the BSF. The Physical Measurements standard for both male and female candidates are enlisted below. All candidates must adhere to SHAPE-1 Medical Condition. Any candidates failing to satisfy this requirement will be deemed unsuitable for recruitment. Candidates will have to pass the BSF SI Physical Efficiency Test, which has been bifurcated for male and female Candidates. Find out all the information you need regarding the BSF SI PET in the table below. Candidates are reminded that they must inform the BSF regarding any relaxation in the BSF SI PET 2018. This need must be put forward the BSF with the right documentation supporting the claim of the candidate. We hope that the information provided here regarding the BSF SI Syllabus and Exam Pattern 2018 has been of help to you. For any queries you may have, we are always here to help you so direct them in the comment section below.